Delivering engaging content to the right audience serves as the backbone of any inbound marketing strategy. Once you’re finished creating the blog posts, videos and white papers that drive your pull strategy, you’re left with the other half of the equation – distributing your content. One platform HootSuite has used to successfully distribute content is LinkedIn Sponsored Updates. Despite the accessibility of social media, broadcasting your messaging to audiences outside of your following is a challenge. LinkedIn Sponsored Updates provide a paid media component to help make sure your messages land in front of the right people. Precise targeting. Ensures campaigns reach appropriate audiences and decision makers. Native advertising. Sponsored updates are less intrusive compared to banner ads appearing in feeds just like ordinary posts. They also provide the opportunity to test content organically. Ease of use. The ad platform allows campaign managers to adapt and optimize ads on the fly. User intent. 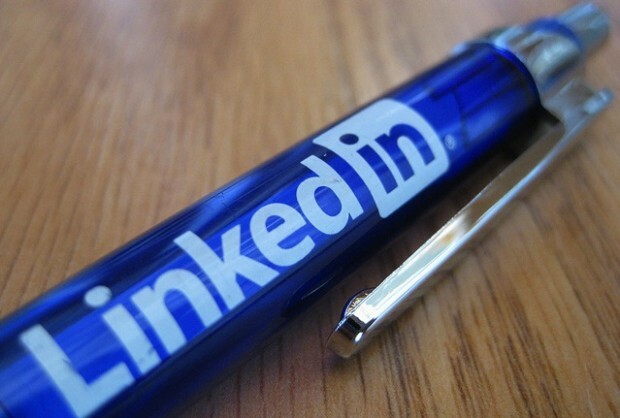 Professional members are on LinkedIn for a reason and are more receptive to business messages. 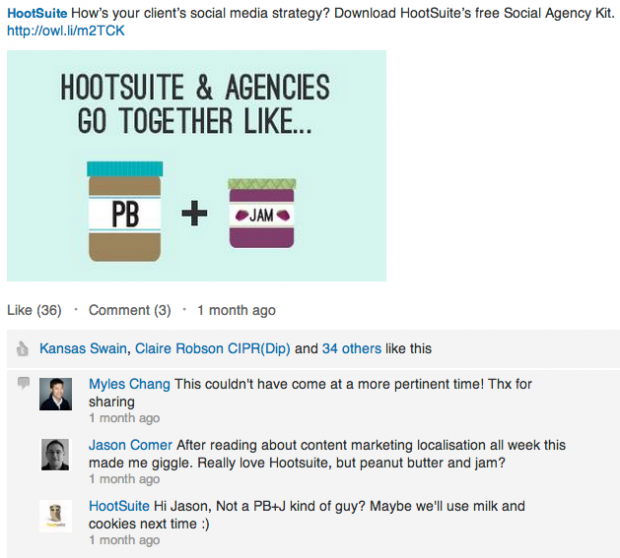 HootSuite offers educational and thought leadership content in exchange for contact information. Using LinkedIn Company Updates, HootSuite was able to drive traffic to landing pages where users would exchange lead information for access to white papers and webinars. Generate leads to support the HootSuite Enterprise sales pipeline. Provide thought leadership and educational content to collect lead information via landing page form fills. Use LinkedIn Sponsored Updates to direct traffic to landing pages to increase form fills. Target Sponsored Updates to users that fit customer personas. 32% lower cost per form fill when compared to an aggregate of all other paid channels. 14.6% conversion rate from click to lead, 22.8x higher when compared to banner ads on other platforms. HootSuite experimented with different ad platforms offering varying targeting capabilities. With LinkedIn Sponsored Updates, HootSuite not only has the ability to target by geography but is also able to drill down further into criteria such as specific companies, industry, company size, job title, job function and seniority level. The latter proving especially important in its ability to reach decision makers. In addition to Sponsored Updates appearing unobtrusively in feeds like ordinary posts, the native advertising model also offers campaign managers the ability to test content and messaging before promoting it. In HootSuite’s case, I was able to optimize Sponsored Updates based on copy and images that proved successful when used organically on LinkedIn and other social networks. Prior to promoting white papers and webinars through paid channels, the content is distributed organically through HootSuite’s various social networks to identify content that converts. Analytics junkies will enjoy LinkedIn’s real-time analytics which give an overview of campaign effectiveness. When combined with full control of campaign management, LinkedIn Sponsored Updates provide campaign managers the flexibility to start, stop and make adjustments to campaigns on the fly. Analytics junkies rejoice! LinkedIn Sponsored Updates provide a full picture of your audience’s demographics. That last campaign not converting? Don’t waste your company’s money. Stop the campaign and spend those dollars on a different campaign. There are no media buyers, account managers or hoops to jump through. LinkedIn members spend time on LinkedIn for a reason. They’re not looking for cat videos or pictures of their co-workers’ babies. Users are on the network for professional purposes and are more receptive to business messages. Don’t forget to treat your ads as company page updates. Comments and Likes help the ads appear less intrusive. Interested in learning more? Read more about Sponsored Update on the LinkedIn Marketing Solutions blog.